The Battle Agency is a new facility within the Festival Plaza. 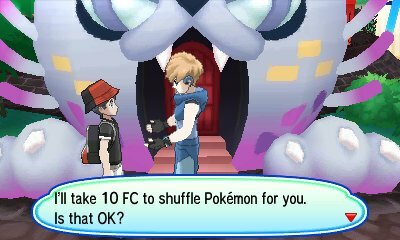 This facility is loosely based on the Battle Factory of Hoenn and Sinnoh and allows for you to rent various Pokémon in order to use them in a Single Battle. The difference in the Battle Agency is that you pick one random Pokémon and then need to get the second and third Pokémon from your teams by recruiting players you have interacted with in the Festival Plaza. The more players you interact with, the better the range of Pokémon that you will receive. Grades are important because as you go up a grade, your Pokémon options go up a Level so if you're Grade 1 your Pokémon and your opponents Pokémon will be Level 51, Grade 2 and Level 52 etc.. This means that as you progress, recruiting the same people who are say Grade 0 would not be wise as you'd be at a level disadvantage. 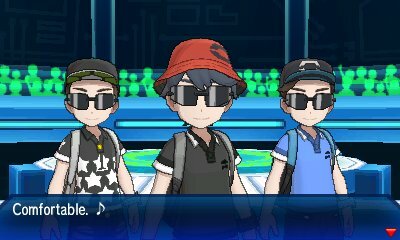 After each bout in the Battle Agency, the three Pokémon at your disposal will change. When you're ready to play, you will need to select one of the three Pokémon. Then, you need to select teammates. 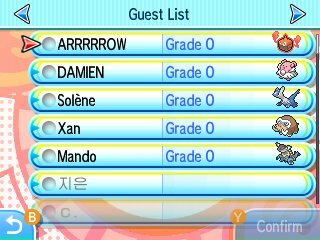 These are players you can see in Festival Plaza right now if you're on local wireless or online, or players you have assigned as VIPs. Players you meet online need to be online to use them, but VIPs can be used for up to 5 days from the last time you were both online. 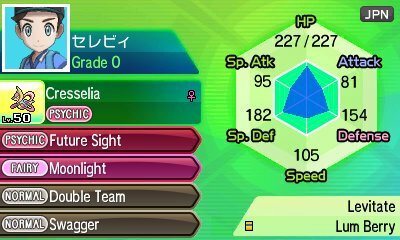 Each player has got a Pokémon assigned to them so you'll know which to use, and the Pokémon each player has is based on either the last Pokémon they recruited in their game or a random Pokémon which changes each day. Staying online will get you more players because you need not have interacted with them. This allows for you to collect more Pokémon to use so you can obtain a more well rounded collection of Pokémon to use. 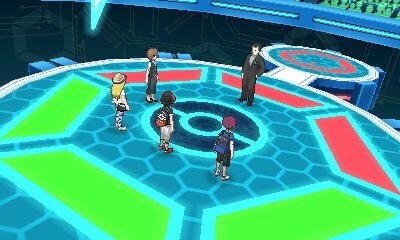 The pool for trainer opponents you face is identical to the Battle Tree with many returning trainers. These trainers are set as you go in, so even if you lose you will face the same trainers in the same day, but this will change the following day. Most notably, when you're about to increase in Grade when you're Grade 9, 19, 29, 39, 49 and every time in Grade 50, you will face a special boss. This is either Sophocles or, after the Team Rainbow Rocket incident, Giovanni. If you defeat them, rather than the Rare Candy gift, you'll get a Gold Bottle Cap. There are almost 1,000 different Pokémon that will be usable within the Battle Agency. 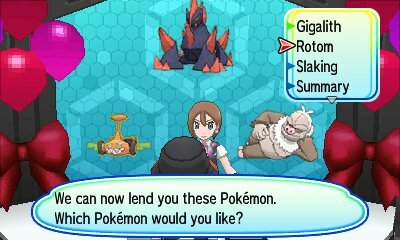 You will get better options for the Pokémon as you progress through the Battle Agency.